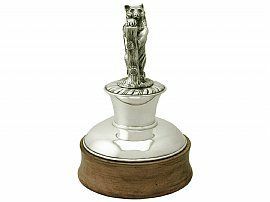 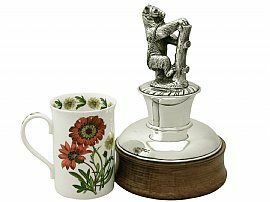 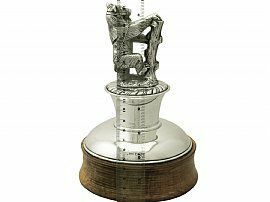 This exceptional vintage Elizabeth II sterling silver gentleman's desk paperweight has a plain cylindrical spreading pedestal to a plain circular domed spreading base and oak wood plinth. 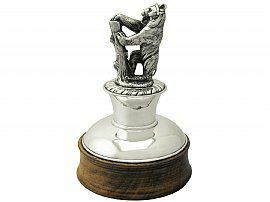 The upper portion of the pedestal is embellished with embossed gadroon style decoration in a swirl design. The pedestal is surmounted with a fine and impressive cast sterling silver bear-baiting model depicting a bear in a head brace clawing a wooden post. This model is further ornamented with an articulated curb chain connecting the bear's brace to the base of the post. 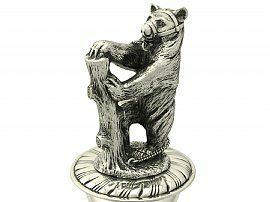 This fine vintage desk paperweight has been embellished with chased decoration reproducing the details of the bear's coat, in addition to the wood grain and terrain. 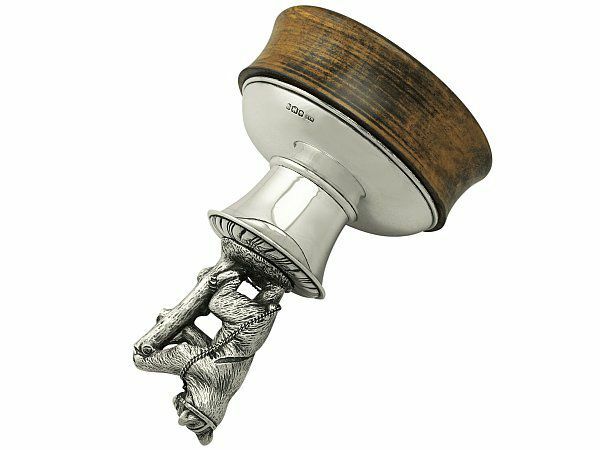 The sterling silver ornamentation is fitted to a circular waisted turned oak weighted plinth, securing to the underside with a nut. 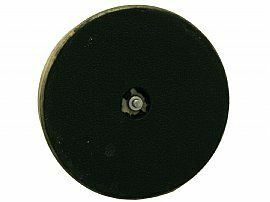 The plinth is fitted with a black leatherette covering to the underside. This vintage gentleman's desk paperweight is an exceptional gauge of silver, exceptional quality and in exceptional condition. The paperweight has been professionally polished and is in presentation condition. 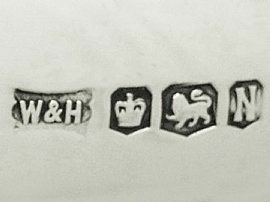 Full hallmarks struck to the surface of the base of the silver portion are all very clear. 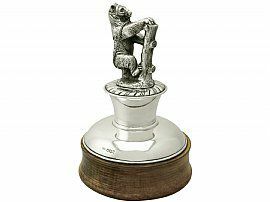 Reflections in photographs may detract from the true representation of this piece of impressive vintage silverware. 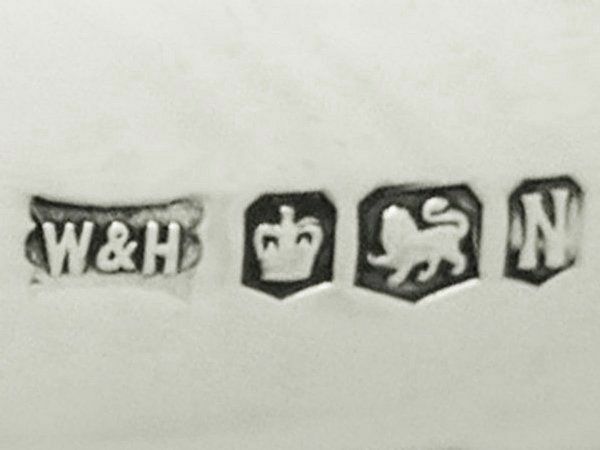 An exact weight of silver cannot be provided as this piece has a weighted base.